Poker news reporting blew up along with poker itself in 2003, with countless poker news and media outlets entering the sphere. Traditional poker media, like live interviews with players and TV shows showing live action, have been going strong for over a decade. More recently, poker podcasts have been sprouting up to meet the demand for mobile, easily digestible media. The incentive for the content creator is getting more involved in the poker community and building a loyal listened base. We get a ton of requests on social media to start an Upswing Poker podcast. Sadly, we have no plans to start one in the foreseeable future (unless you count Polker News). In lieu of an Upswing podcast, here’s 4 poker podcasts we recommend to stay informed and entertained. Two Plus Two has been at the forefront of all things poker for about a decade now. The Two Plus Two forum is the largest in the industry and their book publishings rank among the all-time poker bestsellers. The show is recorded by Terrence Chan and Adam Schwartz. These guys have years of experience reporting in the poker industry. They ask the right questions and are a pleasure to listen to. If you’re looking for the most relevant topics to the poker world, the Pokercast is for you. 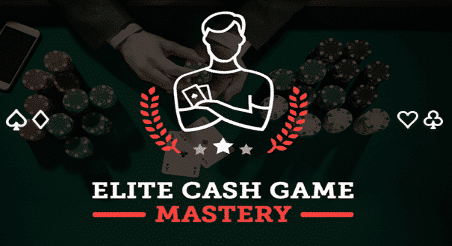 Hosted by PLO expert Joe Ingram aka Chicago Joey. Joey’s pod keeps up with the happenings of the poker world in a more casual setting, and boasts guests ranging from Daniel Negreanu to Fedor Holz. The show’s casual nature makes it feel like you’re in the room, hanging out with Joey and the guest as they discuss the poker world. Naturally with Joey as the host, the show sometimes dips into strategic discussions. This can change depending on the guest of the week as some are more apt to talk strategy than others. Check out Joey’s podcast if you want a look into the poker world from the perspective of a successful online grinder. Most seasoned poker players have likely heard of Part Time Poker. The successful poker media site launched their own podcast in March 2016 and has released 9 episodes to date. Hosted by Alex Weldon and WSOP bracelet winner Andrew Barber, the show is a mix of news, opinions and strategy. Definitely one to keep a keen eye on. The Poker Edge: ESPN’s Andrew Feldman keeps you up to date with all the major news and happenings of the poker world. This show is aimed at more of a casual listener. If you’re deeply ingrained in the poker world this show won’t dive deep enough into the juicy topics for you. But if you are just interested in keeping track of the poker world news, give this show a listen. There are a ton of other great poker podcasts out there we didn’t cover in this article, but the ones we did are a few we believe you should absolutely tune into for a great mix of poker news, strategy, gossip and banter. What’s your favorite poker podcast? Hit us up in the comments section or on social media and let us know why.